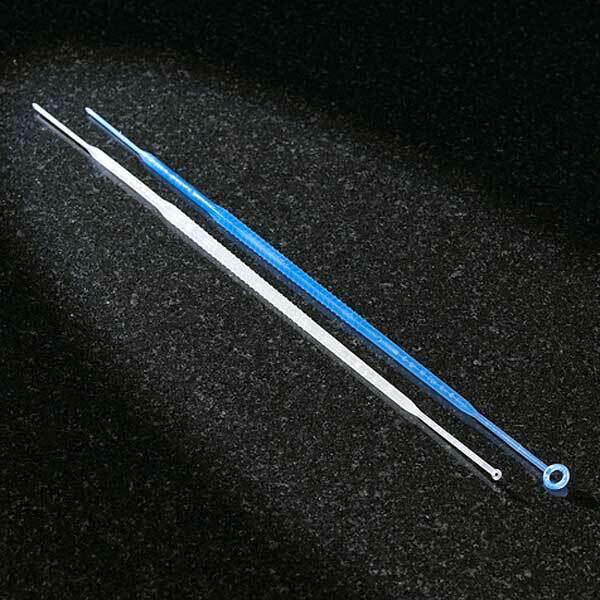 Globe's disposable inoculation loops are produced from medical grade polypropylene (PP). Both the loop and needle ends are designed to be more bendable than our “rigid” loops. They are smooth and flexible to facilitate uniform streaking of culture media. These loops are ETO sterilized and packed 20 loops per peel-pack.